Introduced in 2016, the Hyundai Ioniq is available in hybrid, plug-in hybrid and all-electric variants. Because the electric version has a much larger battery than its hybrid stablemates, it does away with the usual independent rear suspension in favour of a simpler beam axle. 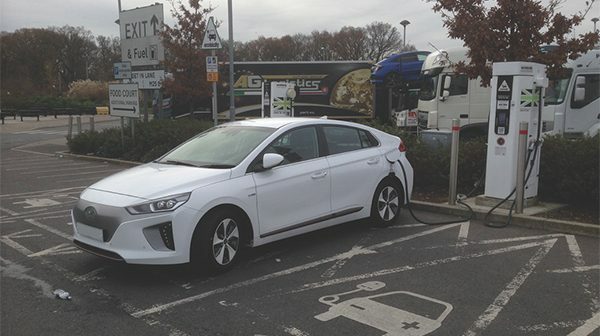 The Ioniq Electric uses a 88kW electric motor and a 28kWh battery. The Ioniq EV’s superb aerodynamics, thermal management and electric drivetrain helped it to become the most energy-efficient car ever tested by the US EPA, with the hybrid and plug-in versions also offering impressive economy figures. This article only covers the electric version which is distinguished by a smooth grey front end. The electric version of the Ioniq has a 360V Lithium-Polymer battery pack. The useable battery capacity is 78 Ah/28kWh. There are six 6-cell modules (numbered 1, 2, 3, 10, 11, 12), and six 10-cell modules (numbered 4-9). Thirteen voltage protection devices (VPD) are located around the battery pack. These are physical switches that are disconnected if a battery module physically expands due to overcharging. In this case, the high voltage system will be switched off and the car undriveable. The high voltage contactors are located within a Power Relay Assembly- one for the negative and a main and pre-charge relay on the positive side. Pre-charge resistor spec is 40 Ohms. The PRA also contains the two relays for rapid charging (QRA) and for battery heating. The battery pack is air-cooled. A fan in the offside rear of the vehicle pulls air through the pack from air vents under the rear seats. The driving power will reduce as the battery state of charge gets low to prevent high current draw at low SOC damaging the battery pack. As with all EV batteries, the full capacity is not used- 28kWh is the useable figure, with the whole capacity being a little larger. Some capacity is also kept back and is used to mask degradation. The Type 2 CCS charging connector is located on the nearside rear wing. The liquid- cooled OBC (On board charger) is located under the bonnet, sandwiched between the EPCU and the motor. A Charge Control Module is located under the front passenger seat. It converts the PLC communication from the external charging post into CAN that can be understood by the rest of the car. 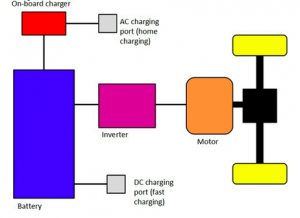 Charging speed is 6.6kW on AC, and 100kW on DC CCS, although there are not currently many charging stations in the UK that can supply more than 50kW. light will be on solid and the second light flash, and so on. All three lights on means the car has just finished charging. All three lights flashing means a charging error has occurred. The centre light flashing means a charging timer is set. The end light flashing means the 12v battery is charging, either for a top up, or because remote climate control is on. The red dashboard warning light indicates charging in progress, and turns green when complete but still plugged in. A 88kW permanent magnet three-phase AC electric motor is used, with inverter built into the EPCU. When replacing the motor or EPCU, it is necessary to carry out Initialisation of Automatic Resolver Offset calibration. The cooling system is bled via diagnostic equipment. 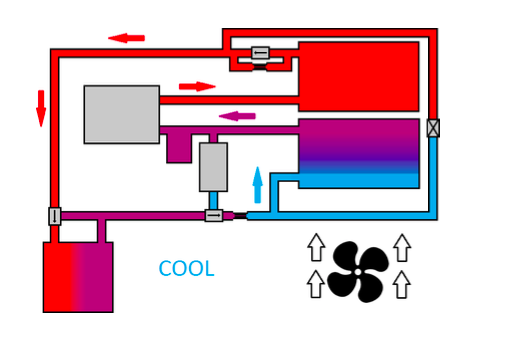 An electric compressor is used, and a heat pump in addition to a PTC heater. The PTC heater runs from the high voltage system. 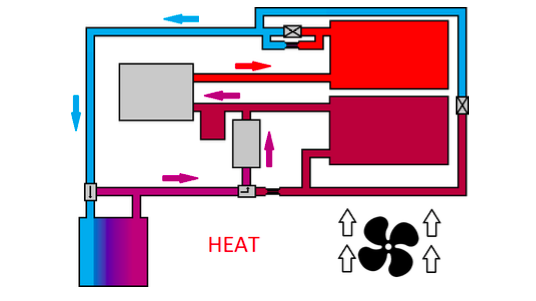 The PTC heater has a high-voltage interlock circuit which appears to be joined to the HVAC ECU, and then sent over CAN. This would suggest a fault in the HVAC ECU or its network would cause a non-start, although we have not been able to verify this at the time of writing. 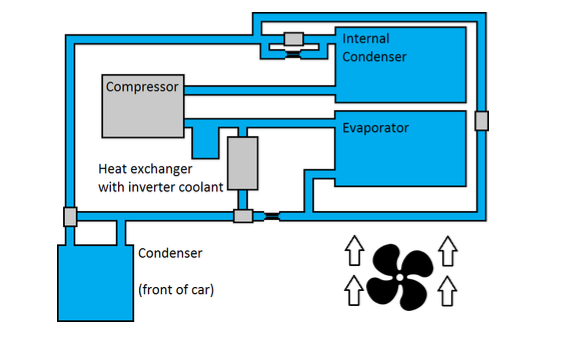 The refrigerant circuit is as follows. The system can collect waste heat from the high- voltage cooling system, making it more efficient. When in cooling mode, the system operates like this. 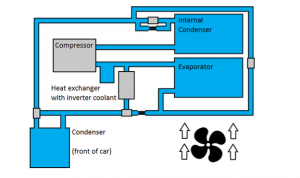 With the various valves in these positions, the system operates the same as any other air-conditioning system. Flaps in the car (not shown) divert the air away from the internal condenser. The internal condenser therefore effectively just acts as part of the pipework. The heat is given up at the front of the car, and passed through an expansion valve to cool the evaporator. When in heating mode, the valve positions change. The valve shown at the top of the diagram is now closed. There is now a pressure change in the internal condenser, causing the heat to be “dropped” here. The now-cool refrigerant then goes on to collect heat from outside air, and from the heat exchanger (which Hyundai calls the Chiller). The evaporator is now out of the circuit. This arrangement allows heat to be collected in the car, and dropped in the car. 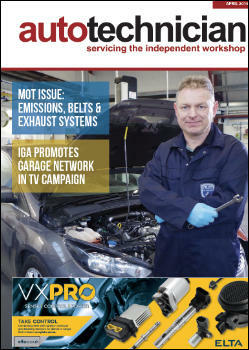 This can demist the vehicle with minimal operation of the PTC heater. 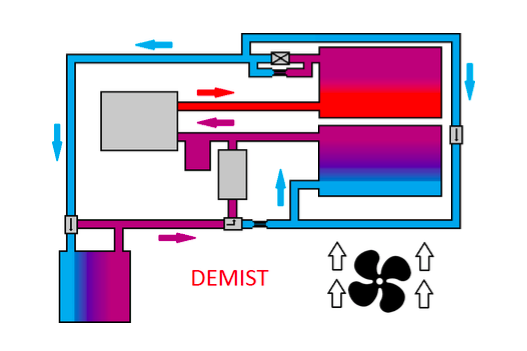 You will notice there is a condenser bypass valve that is in the same position in all the diagrams. This is opened if excess refrigerant is accumulated in the condenser. A DC-DC converter (known as LDC) is built into the EPCU (inverter). The 12v battery is charged when the vehicle is in ready mode, when charging, and when pre-heating/cooling. There is an option in the menu for Aux Battery Saver+ (under User Settings > Other features). When enabled, this will automatically charge the 12v from the high voltage battery as required, preventing a flat 12v battery albeit losing a little from the main battery. Aux Battery Saver+ operates for a maximum of 20 minutes at a time, and if the car is unplugged, will check on the battery every 72 hours. If it operates for ten times in a row, the system is disabled as there is either a parasitic drain or the 12v battery is faulty. A dashboard message will tell the driver the battery saver has been used since last parked. A synthesised noise is created by the car, known as VESS. The Ioniq features various driver assistance systems. These are not covered by this guide or by HEVRA Support at this time. The braking system consists of a Pressure Source Unit (PSU), and a Integrated Brake Actuator Unit (IBAU) on the master cylinder. The PSU generates and stores hydraulic pressure at approximately 180 bar, and feeds it to the IABU. The IABU can send this to the calipers when regenerative braking cannot provide the necessary brake force. The IABU also handles ABS and ESP functions, emergency backup (hydraulic link to pedal), and simulated pedal feel. A stroke sensor on the pedal measures driver demand- this must be recalibrated whenever it or the IABU is replaced. If it is necessary to release the pipework between the PSU and IABU, use diagnostic equipment to release the hydraulic pressure. Stroke sensor calibration should be carried out on refitting. In the event of a total failure, a valve within the IABU connects the pedal to the wheels to provide braking on all four wheels with no servo assistance. Noises from the brake pump when opening the driver’s door, repeatedly pressing the brake pedal, or pressing the pedal particularly hard are all normal. Brake bleeding is quite an involved procedure- see Hyundai factory brake manual. Note: Procedures described are for guidance only. Refer to vehicle manufacturer’s technical information for up-to-date procedures. HEVRA cannot take responsibility for injury, malfunction or accident.